The FDA has approved CPR RsQ Assist, the first FDA-approved hands-only chest compression device designed to reduce fatigue and intimidation that are associated with performing traditional CPR. 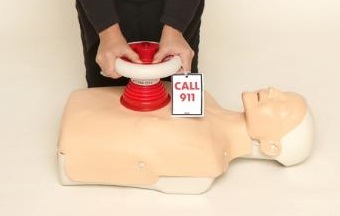 CPR RsQ Assist is indicated for use on patients aged >8 years. Independent clinical studies showed CPR RsQ Assist reduced fatigue by 90% and increase performance results by 94.5% over traditional CPR. The device guides the user through the steps of CPR with voice commands as well as an audio and visual metronome. Users are aided on device placement and instructed to push 100 times per minute until help arrives. The device also has an ergonomic design with an easy-to-grip, non-slip handle. The user can leverage upper body strength and weight with each push. CPR RsQ Assist is available with a custom-designed wall cabinet and sign for easy placement adjacent to an AED machine. The product is now available for purchase online. For more information call (877) 277-7998 or visit CPRRsQAssist.com.